Head Office relocation of a high street and online retailer. Owing to growth within their business our client needed to relocate their head office to larger premises. 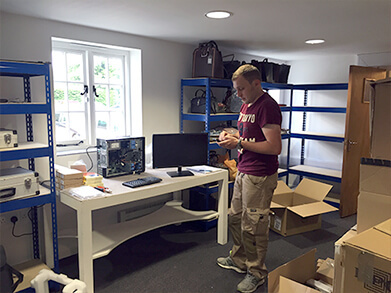 Not only was the head office to be relocated but most of their IT equipment was being replaced at the same time. While this was great news for the staff and the operations of the business, it did add an additional layer of complexity to the transition. 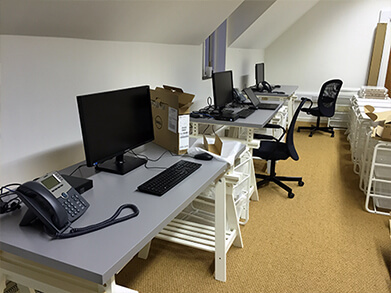 Before the move date we needed to ensure that the new premises had broadband installed and activated. In addition to this we installed the necessary network cabling and connectivity equipment a few days in advance of the move. 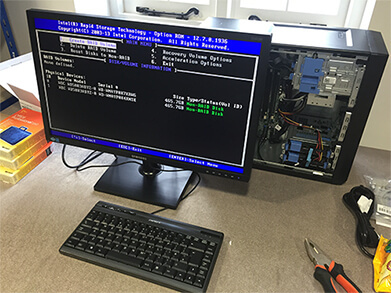 Over the course of two days and one very late night we installed and configured new servers and workstations and migrated essential programs and data over to the new systems. 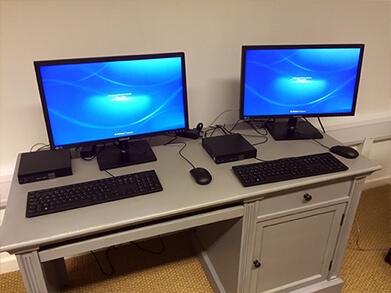 We also liaised with their EPOS software provider and provided on-site assistance while they migrated the software to the new devices. Another crucial aspect of the move was the relocation of the phone system. As an interim measure we diverted incoming calls and physically moved the onsite VoIP server to the new location where it was simply a case of insuring connectivity and supplying power. The new IT setup provides time and efficiency savings with respect to maintaining the network but also provides staff with quicker, more robust access to centralised file storage and network attached resources. New workstations and VoIP phones.